Add some whimsy and wonder to your gifts with these unique tags. To, From, Because: Personalize each tag with why your loved one is so wonderful or add an inside joke. Includes 1 gift tag and a 3″ cotton and metal twisted golden tie. 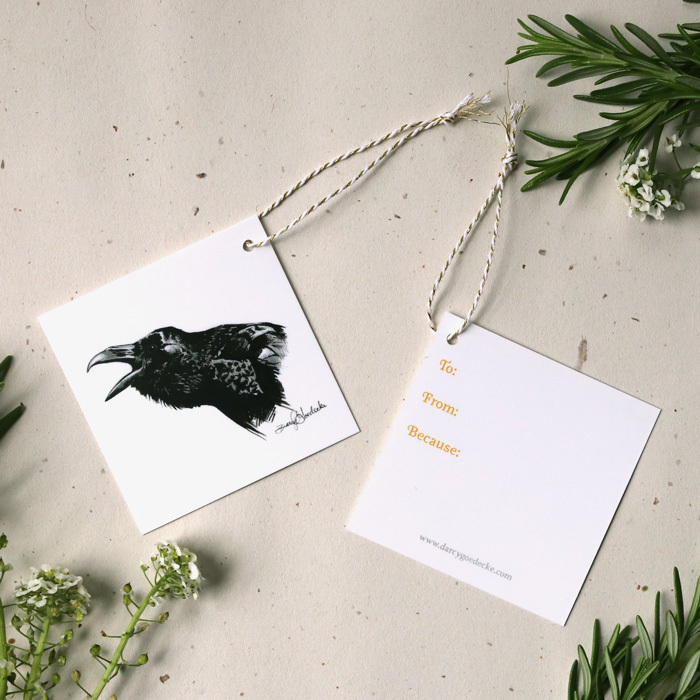 Crow / Raven gift tag made in Olympia, WA. Each tag comes with a white and gold striped tie.